Need some pre-made healthy chart material for your work? Here is the right place. Navigate through this diagram sharing community and pick the one you need. With Edraw, you can create clear and good-looking healthy presentation with no prior experience. If none of the above fit your needs, simply design a new one with a few clicks through Edraw. 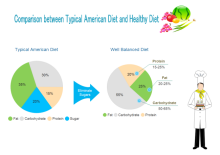 View the featured presentations, charts, infographics and diagrams in the Healthy category. 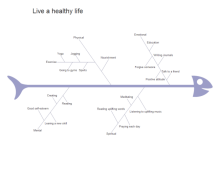 Download delicate healthy chart templates for free from our diagram sharing community. If you need some revision, simply edit it effortlessly with Edraw.